“The Red Horse” is a continuation of the analog and modular based compositions explored on Bluetech’s early 2016 release “The White Horse”. Ranging from playful electro and synthfunk to dark and abstract IDM explorations, this release also features a remix of Rumpistol’s emotional “Eyes Wide Open” track featuring Anne Trolle, a Danish singer/songwriter known for her work with Trentemoller. “The Red Horse” is the second release in a series of 4 EPs referencing the Biblical bringers of the Apocalypse. 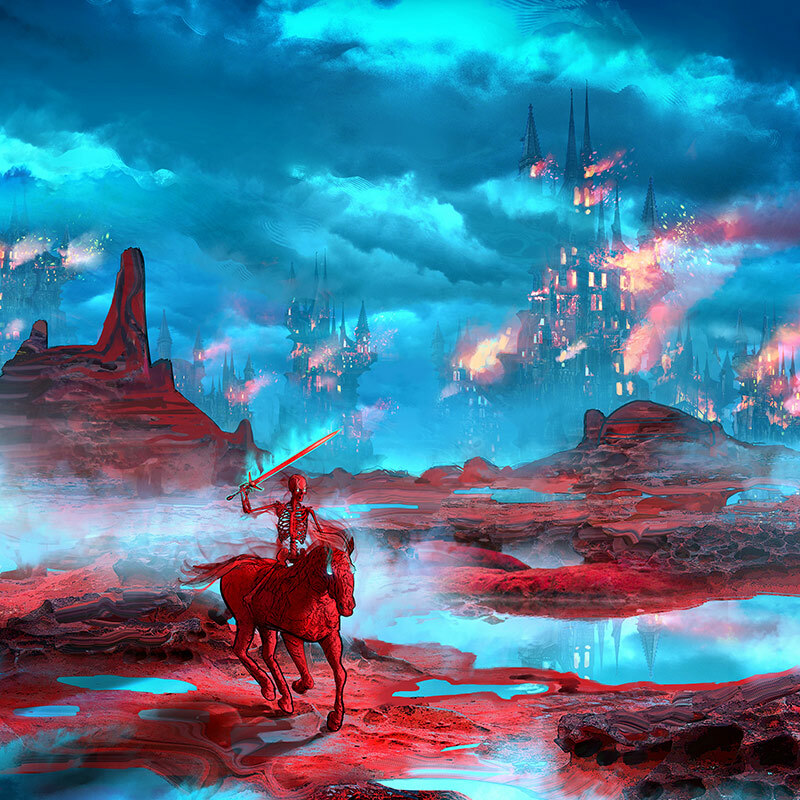 Drawing inspiration from the classic fantasy art of Moebius, Beksinki and Syd Mead, “The Red Horse” dances around eschatological tropes with tongue firmly placed in cheek. Featuring gorgeous artwork from concept designer Justin Totemical, each release in the series will present a facet of the visionary prophetic current culminating in a double vinyl LP release featuring all four artwork panels in proper large format glory.